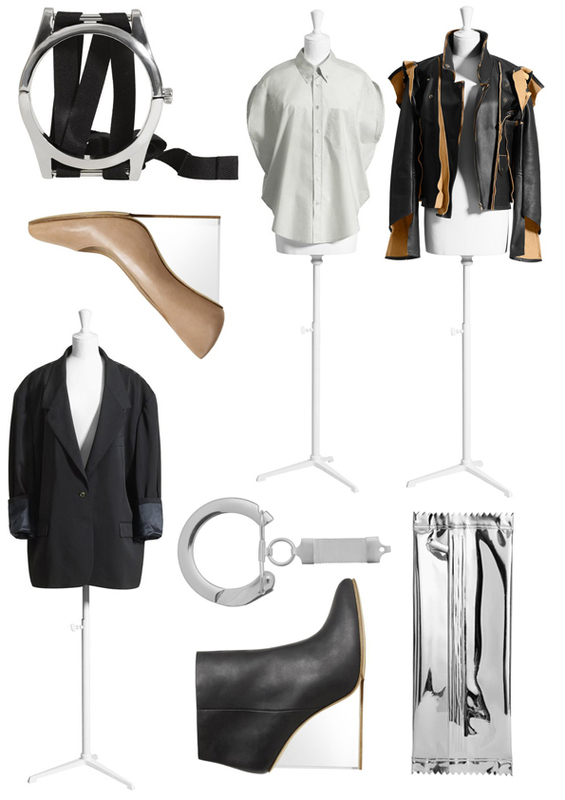 I've selected my favorite items of the Maison Martin Margiela for H&M collection. How rad is that leather jacket, really amazing! Those plexi-glass heeled wedges are insane as well! What are your favorites? Answer: Thank you so much :) Same to you! Oh god I want it all. Especially those boots! ik vind de zwarte enkellaarsjes heel leuk! Great pick. I love the heels and the fake watch, beautiful!